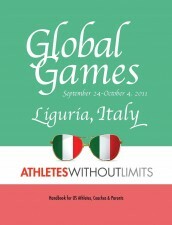 Athletes Without Limits is organizing the eligibility, team selection and travel for the US team competing at the 2011 Global Games. This will be our second trip to the Global Games following a strong showing and 5 US medals at the 2009 Games in the Czech Republic. NEW! Download the handbook for event information and registration forms. Registration deadline is April 20, 2011. Global Games is an Olympic-style, world championship competition for the top athletes with intellectual disability competing in: Athletics (Track & Field, Cross Country), Cycling, Basketball (team), Futsal (team indoor soccer), Swimming, Table Tennis, and Tennis and Indoor Rowing (ergometer). There will also be an on the water demonstration rowing competition in coxed mixed fours. Each sport follows the rules of its official international governing body. For example cycling events are officiated by UCI officials following UCI rules and distances. It is anticipated that 1,500 athletes from over 30 different countries will compete, with some countries bringing over 100 athletes each. Everyone involved will stay in 3-and 4-star hotels in the region of Liguria, known as the Italian Riviera, and will share meals and other cultural experiences with elite athletes with intellectual disability from around the world. The Global Games are sanctioned by the IPC as the World Championships for athletes with intellectual disability and are highly recommended for any athlete who aspires to make a US Paralympic team. Athletes must meet the INAS/IPC eligibility guidelines and be registered several months in advance. We strongly encourage you to submit your Athlete Eligibility Application as early as fall 2010 to ensure your eligibility can be confirmed in time for the event. There are minimum time standards set by INAS for competing in Swimming and Track and Field. 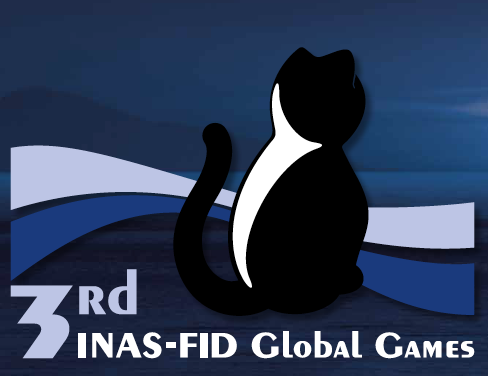 See pages 12 and 16 in the Global Games Handbook for details. The deadline to register for GG has passed. Athletes and parents/guardians who are considering overseas travel should also apply for a passport (if needed) as early as possible. Please contact us if you are interested in participating in this event.